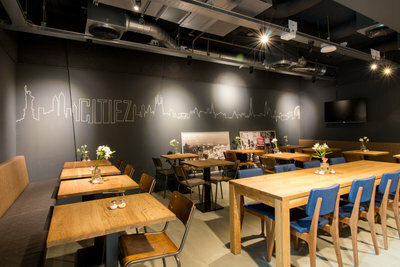 In the formulation of the new Citiez hotel concept, D/DOCK opted for a new approach in 2014: a hotel with relatively small rooms with pillars such as functionality, comfort, urban, modern and a place where the guest with a subtle budget is comfortable in a homely ambiance. 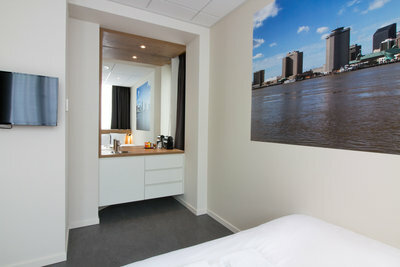 The hotel is a collection of metropolises, in which it is possible to stay in one of the big cities in the hotel. “Combining functionality, comfort and design in a smaller area was our biggest challenge” says Coen van Dijck, Managing Director at D/DOCK. The hotel has a total of 71 rooms, ranging from a 'Cozy Queen' and 'Smart Double' to 'Urban Twin', 'City Triple' and a 'Family Quad'. 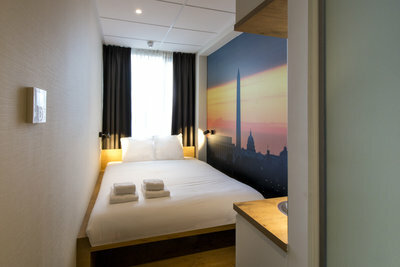 Every room has a bathroom and a double bed. 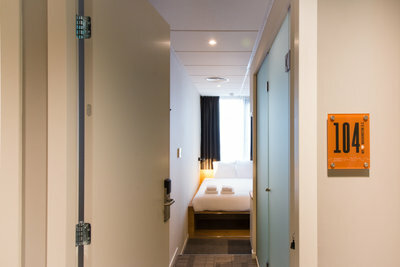 The luxury rooms also have a pantry and coffee corner, making a prolonged stay pleasant. 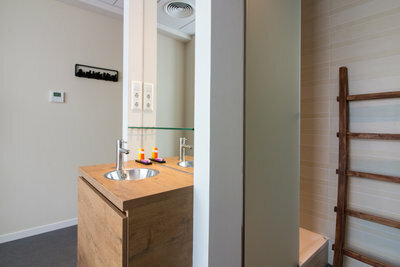 To keep the rooms diverse, the sink is placed in the room. The room features peaceful and natural materials, that have a timeless and relaxing effect and serve as a basis for the styling around the 71 metropolises. 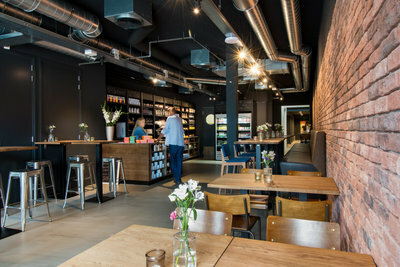 From the Osdorpplein, one can walk straight into the allDayCafe, an extension of the city square, where guests check-in, enjoy a great breakfast, or relax. A place frequently visited by the shopping crowd for its delicious coffee. The area is reminiscent of a living room. The long stone wall creates an urban ambiance and is a nod to the historic canal houses in the downtown area. The allDayCafe and the breakfast area are separated by a tall light mezzanine, under which you’ll find the route to the rooms via the stairs or elevator. 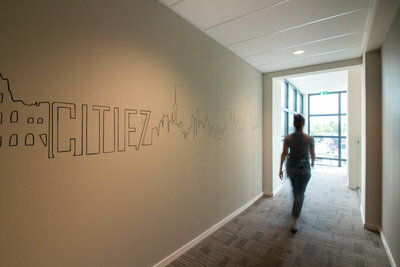 Graphical elements adorn the wall of the long corridor, connecting the rooms. In addition to the ultimate experience, Cities also offers both business and leisure guests the ultimate challenge: fun, inspiration, love, passion and engagement. 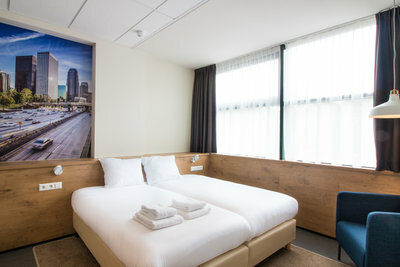 “Citiez focuses on the modern traveler who does not care about a huge suite, a super expensive mini bar and a long line at the front desk. 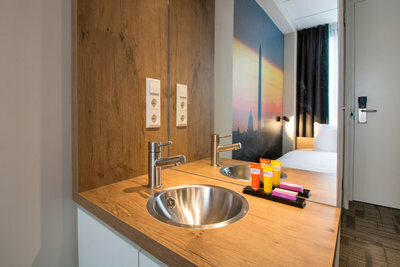 The traveler who loves a comfortable bed, a good, pleasant shower, free internet and moves, all at the perfect location in a city that offers no good reason to stay in your hotel room”, says Jean-Paul de Mol, owner of Citiez.